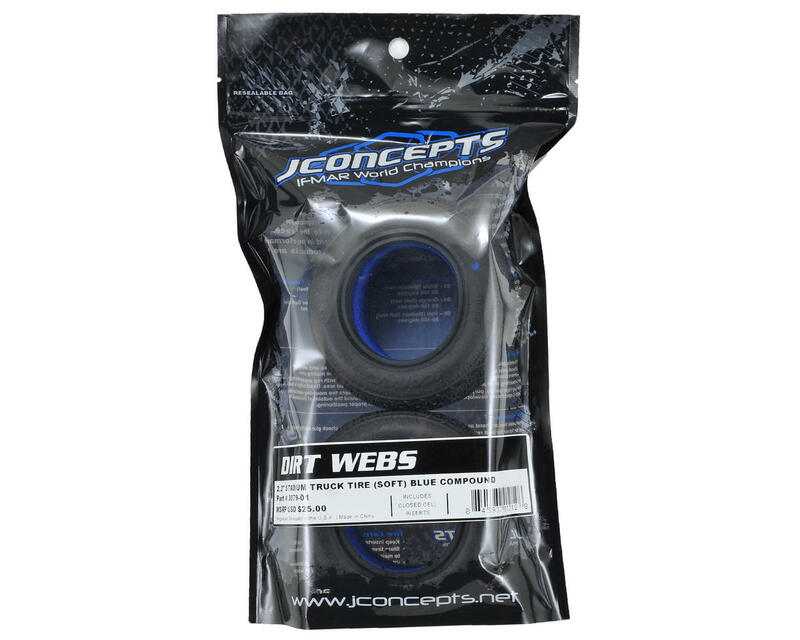 This is a pack of two JConcepts Dirt Webs 2.2 Stadium Truck Tires. The Dirt Web tread, originally based on the popular Pressure Points tire design, connects uniformly positioned Web-Bars to create an amazingly stable tire. The Dirt Webs, the ultimate Bar-Tire, relies heavily on the Web-treatment for massive forward acceleration; however, the design does not stop there. Inside the supported bar portion rests horizontal and vertical alternating bars which help balance side-bite and backs up the Web-Bars to help minimize wear. 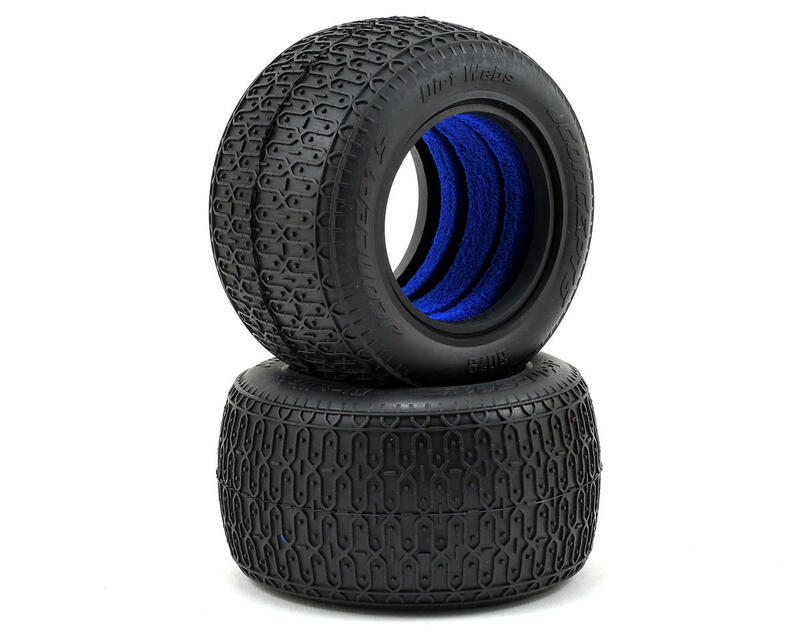 Down in the corners, small Pressure Point sized pins break-in quickly providing surface area for specialty indoor racing and also lend a helping hand to stabilize the tire in extreme high-grip conditions.